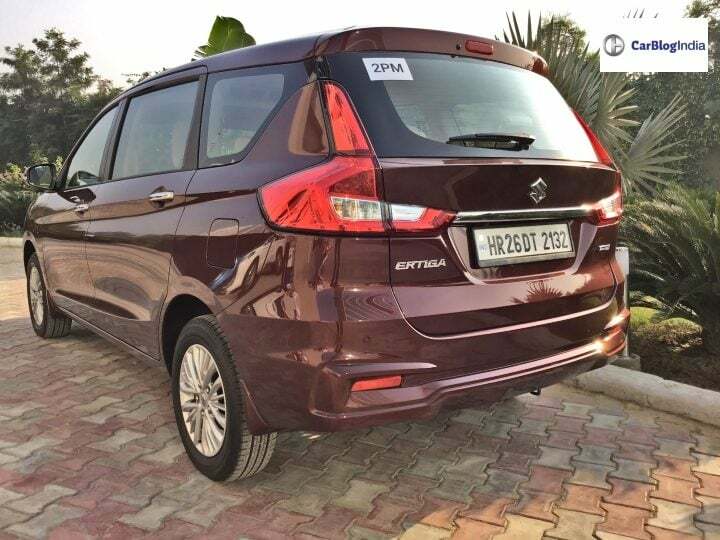 Evolution, that’s the first word which comes to my mind when I think of the new Maruti Suzuki Ertiga. In its second generation iteration, this 7-seater MPV has grown in every way and has become a people carrier in the true sense. From what it was earlier, a mere extension of the Swift family now comes across as an altogether new product with its own unique identity. Take for instance its front profile. Gone are the sweptback headlamps borrowed from the second generation, Swift. In comes the new wraparound units which look very sharp and sophisticated. It’s halogen bulbs are replaced with halogen projector units which are a standard fitment across the range. 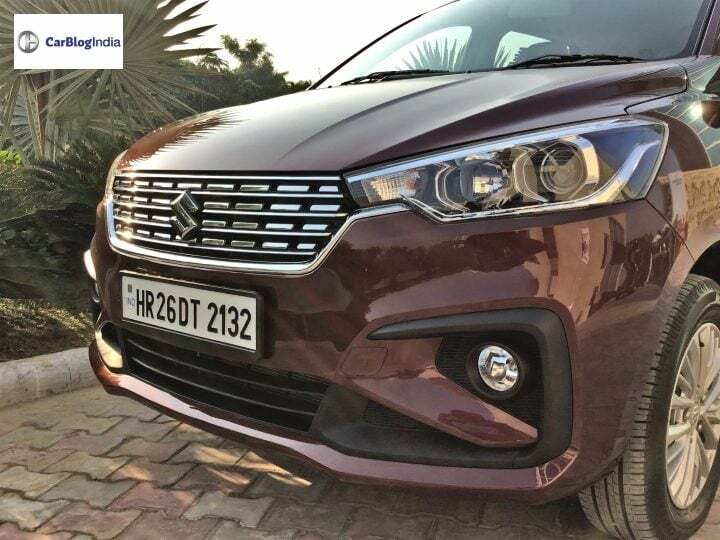 The large chrome grille placed in the middle acts as a major bling factor on which proudly sits the Suzuki logo. The augmented bumper with its C-shaped fog-lamp housing looks very sporty. While the raised bonnet height provides this car with a bolder appearance. 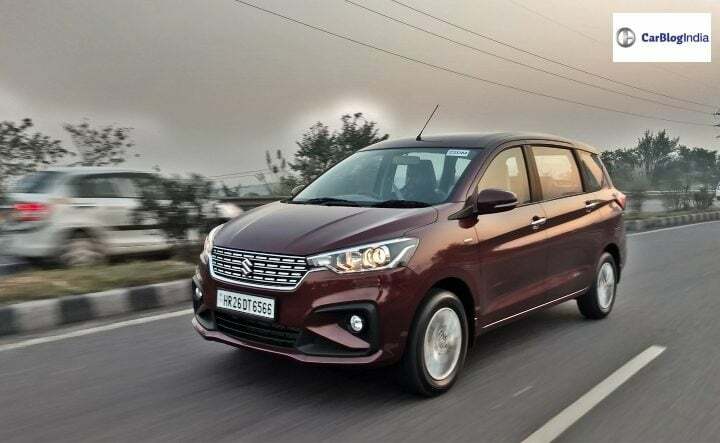 The use of the 5th generation HEARTECT platform has allowed Maruti Suzuki to increase the overall length of the new Ertiga by 99 mm. This factor becomes apparent when you look at this MPV from the side. It looks visibly bigger than before, however, the bulk is quite impressively managed with the help of sharp creases and bold character lines. 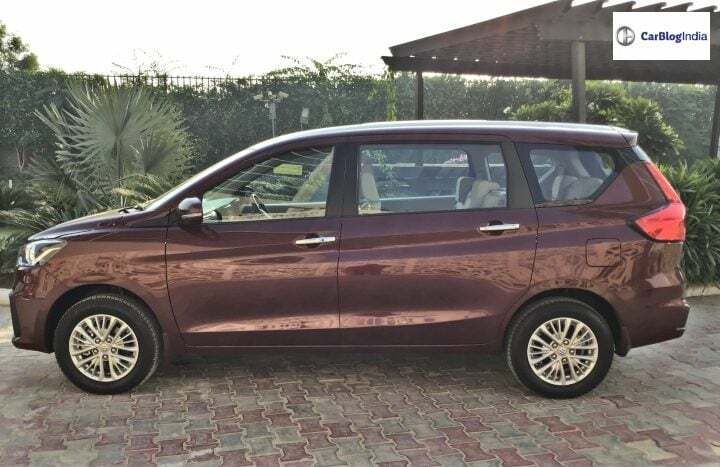 The floating roofline design gives the 2018 Maruti Ertiga a youthful appearance. The augmented wheel arches house the 15-inch multi-spoke alloy wheels perfectly. 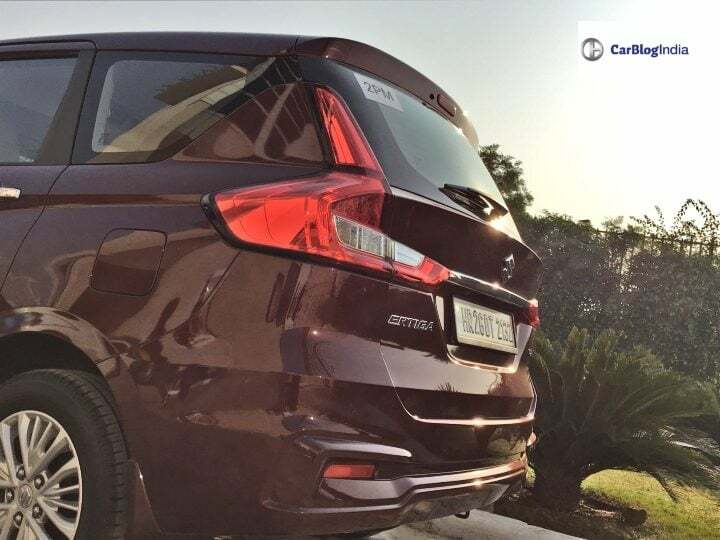 Thanks to the evolved aesthetics of the new Ertiga, it now looks a lot better proportioned than its previous generation iteration. 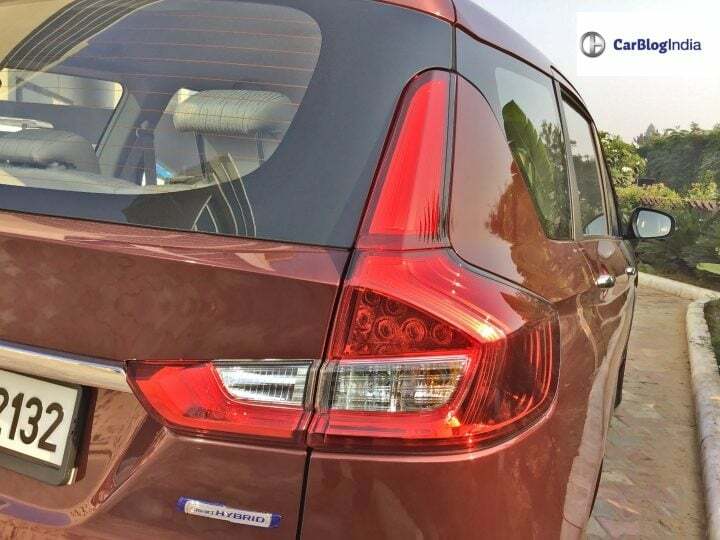 In my personal opinion, the rear fascia of the new Ertiga is one of the best ever seen on a Maruti Suzuki. The angular tail-lamps with their LED units look classy, while the small spoiler on the boot-lid gives the car a very sporty design. There is no doubt about the fact that the tail lamps are reminiscent of what you see on a modern day Volvo. That said, they do blend perfectly with the rest of the design language. The rear bumper, just like the front one has some interesting design elements as well. 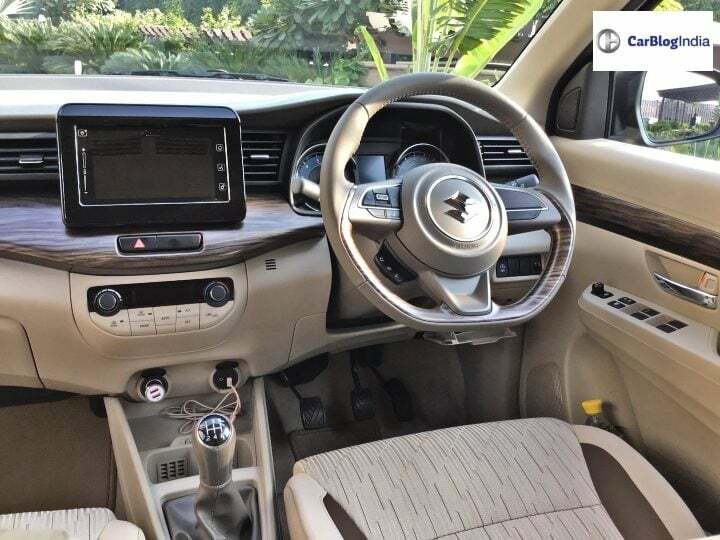 As with the exterior design of the new Ertiga, the interiors of this MPV have their own unique design as well. That said, there is still certain equipment which has been borrowed from other Marutis. The triple tone layout of the dashboard looks very premium. And the wooden inserts add to the bling factor. 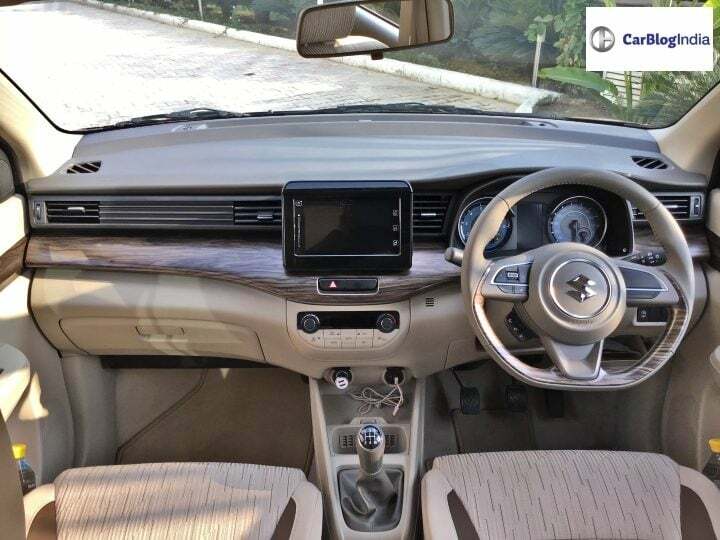 The steering wheel, similar to the of the Swift and Dzire is a flat-bottom unit and is leather wrapped in the top two variants. The instrument cluster is the same which you see on the Ciaz facelift and comes with a new MID. 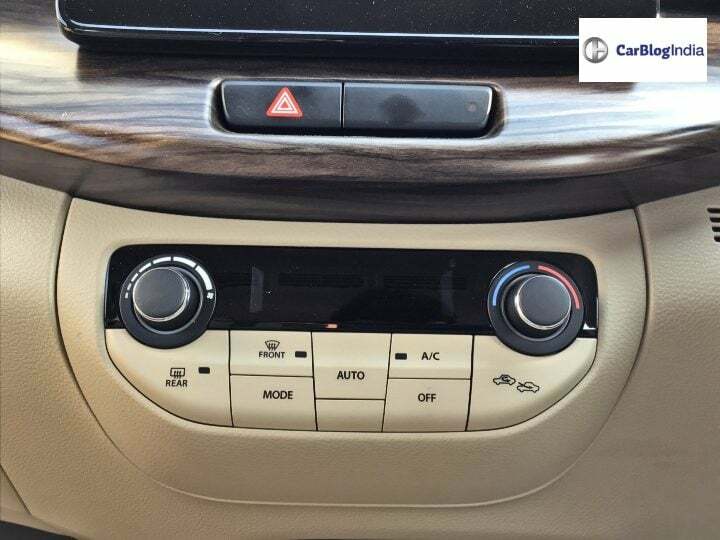 The streamlined design for the air-con vents looks very classy and so does the smart controls for the automatic climate control module. 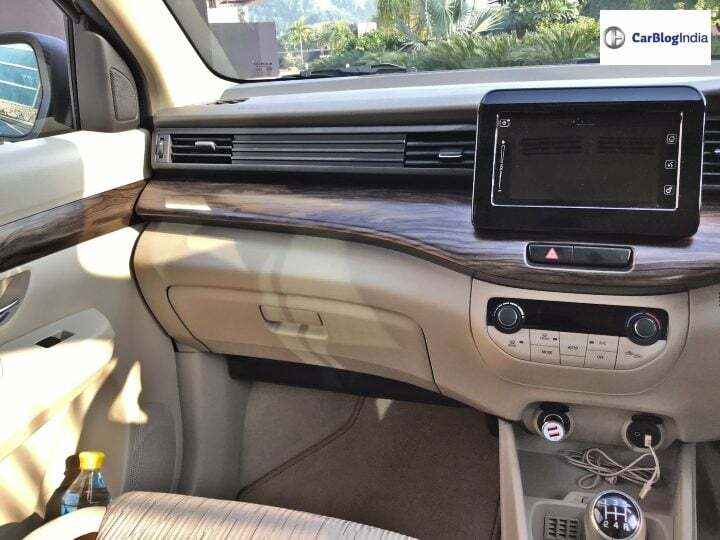 The new Ertiga comes with the Smartplay infotainment system from Suzuki. 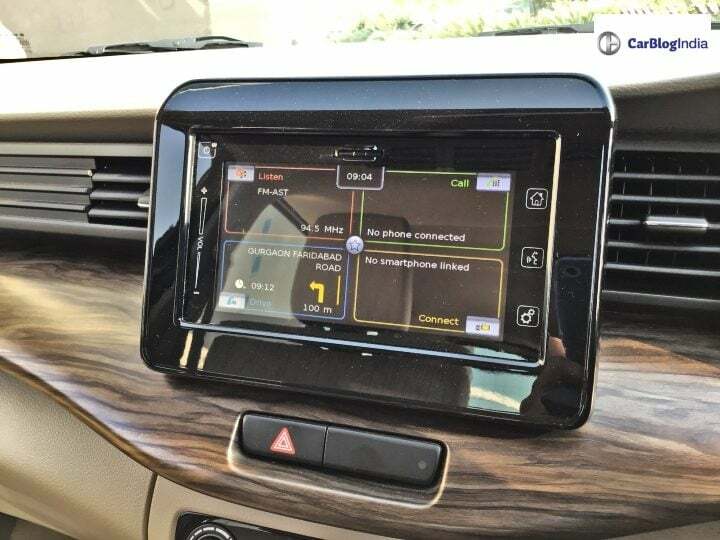 Just like other Marutis, in here too it works brilliantly and offers Apple Car Play, Android Auto and Mirror Link compatibility. Maruti Suzuki has evolved the new Ertiga by introducing a number of new and very ergonomic features. There are plenty of cubby holes and storage spaces onboard. 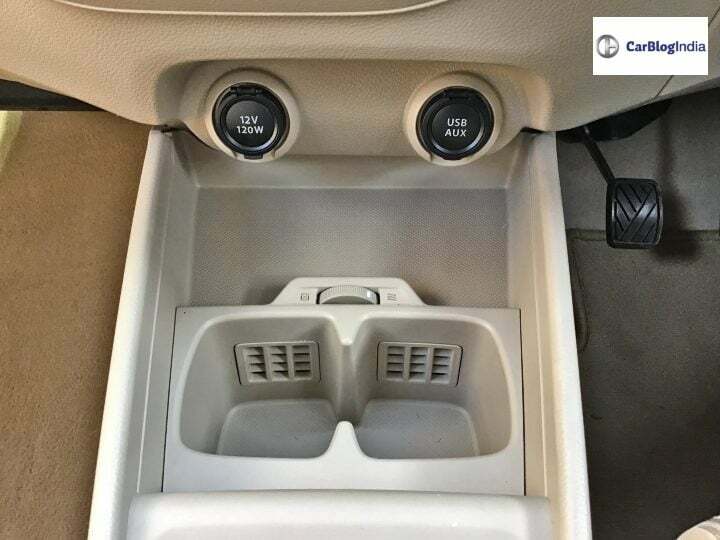 The one which you will find most interesting is the central tunnel mounted cup holders which come with their own air vents. In front of it, you have storage space to keep your mobile phone, just underneath the USB charging port and the power outlet. The centrally placed armrest too has some decent storage space inside it. In addition to all this, there are bottle holders in each door. The touch and feel of the switchgear are positive and does not feel tacky or substandard. 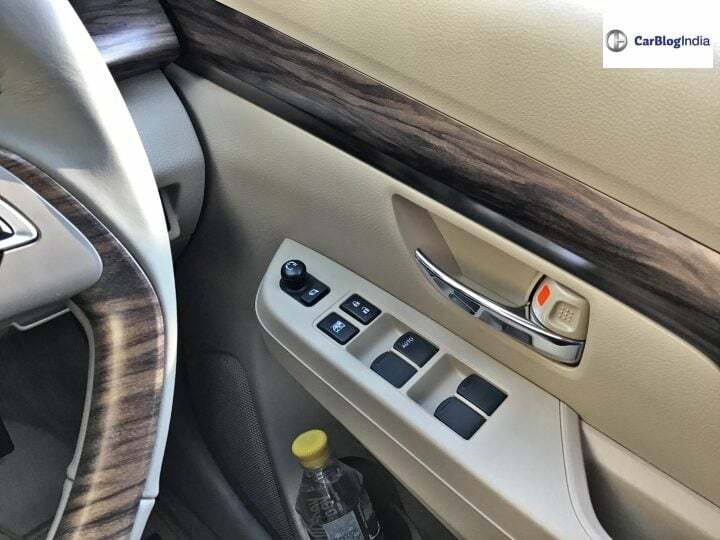 However, the controls for the power windows and outside rearview mirror are the same ones which we have been seeing on Maruti’s since a very long time. And they do feel spartan in an otherwise contemporary cabin. The build quality of the 2018 Maruti Ertiga is quite commendable. However, the quality of the dashboard and door panels could have been a notch up. Especially when you consider that the range-topping models will reach an on-road price upwards of INR 10 lakhs. 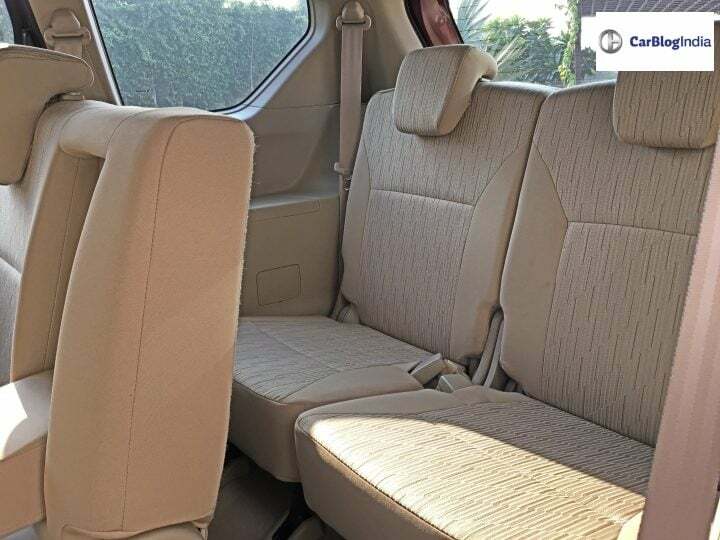 The Ertiga is a people carrier, hence it offers very comfortable seats, across its three rows. The increase in wheelbase has led to more legroom for both the second as well as the third row. 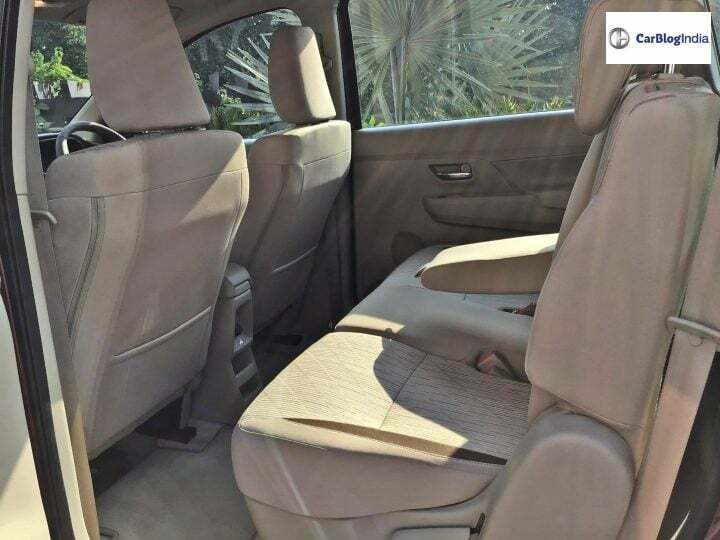 In addition to the front seats, Maruti is now offering reclining function on the middle as well as the third-row seats as well. The one-touch tumble function of the second row makes accessing the third one quite easy. Not only this but with an adjustable middle row, you can easily increase legroom for the third-row passengers, without sacrificing legroom for the people on the middle bench. All that said, though the third row can seat two average-sized adults with ease, these are best suited for children when travelling long distance. The increase in the wheelbase, in addition to freeing up more legroom, has also led to more boot space. 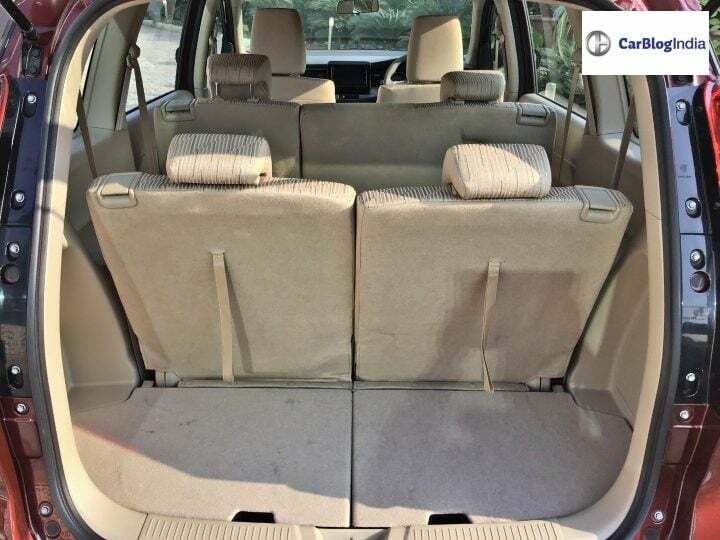 Even with all the three down up, you get an impressive 203-litres of space. With the third row folded down, this increases to more than 800-litres. 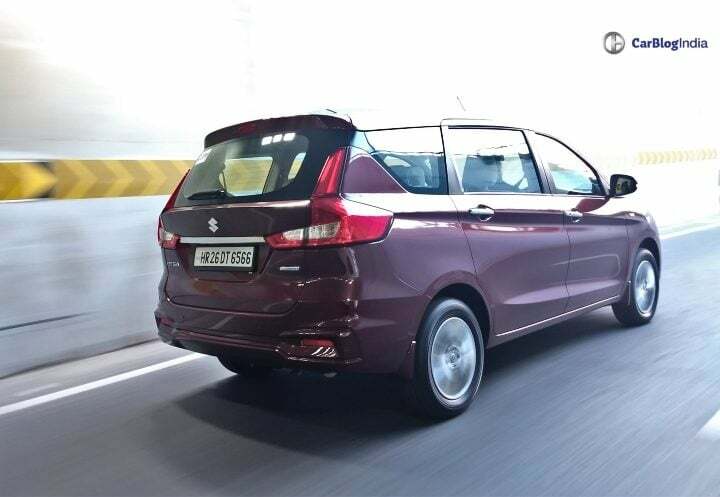 Not only this, but Maruti has provided the 2018 Ertiga with extra storage space underneath the boot floor. 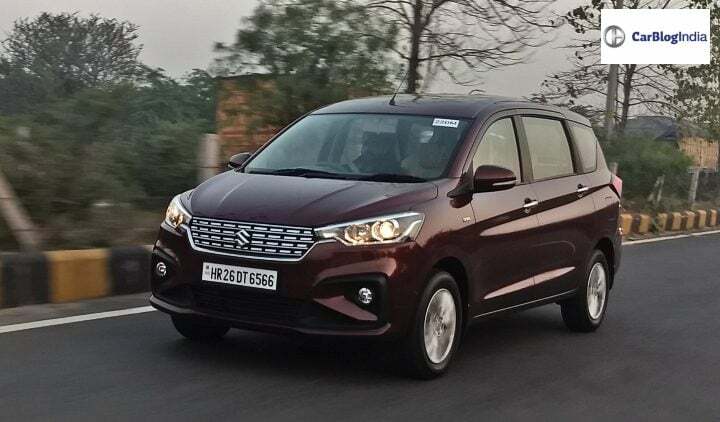 Apart from the new design, new features, more interior space and other upgrades, one amongst the main talking points is the new 1.5-litre K15B unit with the standard ‘Progressive Smart Hybrid Technology’ and how well does it score on the 2018 Maruti Ertiga. Well, for the most part, it scores pretty impressively. The engine is quick to build its Revs and pulls linearly. It operates with ease in city driving conditions. It is very smooth and there are no unwanted vibrations. When cruising, it remains pretty silent and only becomes audible if revved high. That said, with a rather flat mid-range, it does lack the outright grunt. For getting the most out of this engine, you have to push it hard. And at the same time, keep it in the right rev range by dropping down the gear for whenever you need a quick overtake. Though for what it lacks in terms of its highway performance, it makes up for its intercity capabilities. With a light clutch and easy operation of the gear, this new 1.5-litre K15B unit is quite effective for your daily city commuting. In addition to this, with its new Smart Hybrid system, the engine promises to offer good mileage figures as well. However, if what you are looking for is outright performance, my suggestion would be that you go for the diesel derivative of the Ertiga. It comes with the same 1.3-litre DDiS 200 unit offering 88 BHP along with 200 Nm on tap. Coupled with an easy operation 5-speed manual gearbox, this engine has the required grunt and decent highway performance thanks to a strong mid-range. 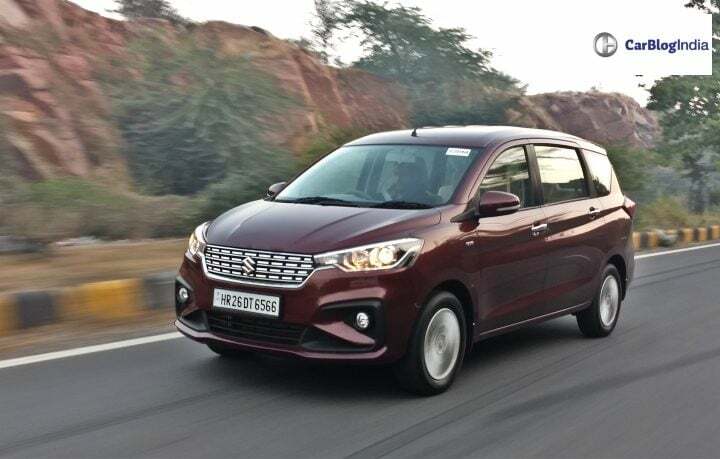 With the new HEARTECT platform, the driving dynamics of the 2018 Maruti Ertiga have improved to some extent. However, with a softer suspension setup, you do get a considerable body roll if you chuck this car in a corner too fast. That said, the supple suspension set-up does help in soaking up the bumps with ease. 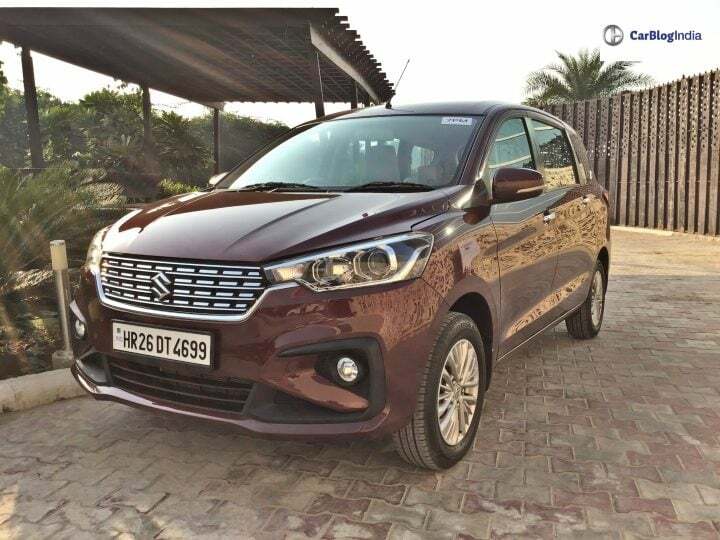 I was not able to test this car on outright broken roads but in our short drive, whatever undulations we did encounter were dealt with utmost ease. High-speed manners of the new Ertiga are quite impressive as well. For the most part, this car holds its drink very well. To sum it up then, I would once again say that the word ‘Evolution’ best describes the all-new next-generation Maruti Suzuki Ertiga. With a mature design, premium interiors, better feature list and improved safety kit, this MPV has evolved to a great extent from what it previously was. 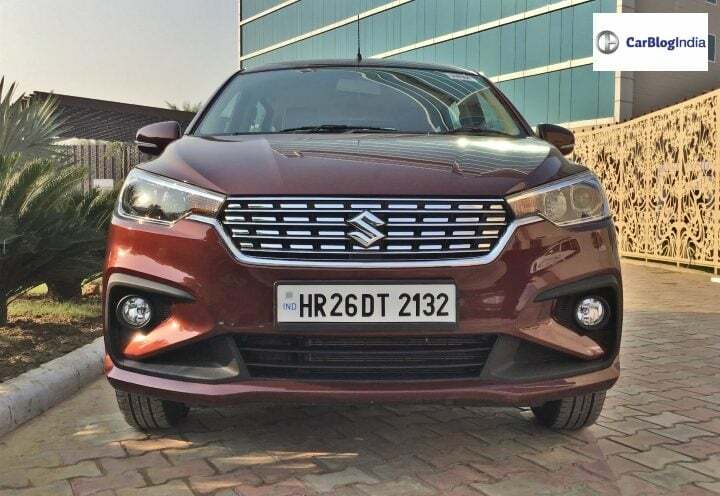 There are still some areas in which we would have like to see some improvement, for instance, better quality interiors, improved performance from the petrol engine and the provision of more airbags on the top-end variants.